This plugin gives players the ability to increase their maximum health just by gaining experience levels. Every few levels a player gains, his maximum health will increase. 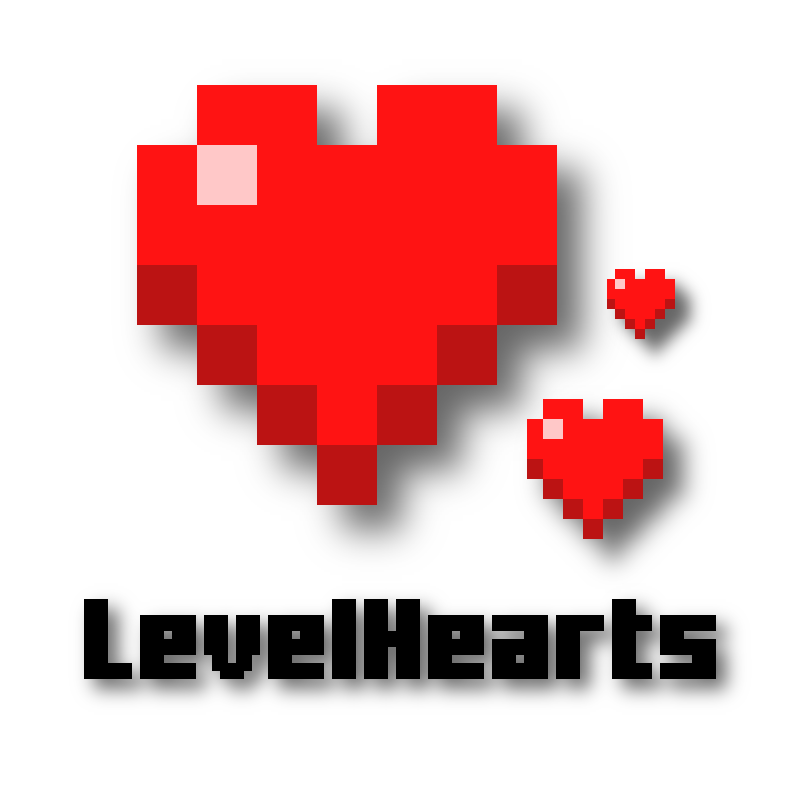 LevelHearts is highly configurable offers a set of command to change health and maximum health of any player! No client mods required! Click on an icon to learn more! This is as simple as it gets: Just put it into your /plugins folder of your server and your good to go! Enjoy! /health Displays your current health and let's you change it. /maxhealth Displays your current maximum health and let's you change it. /lvlhearts Displays LevelHearts version and generic help. LevelHearts will automatically generate a config.yml configuration file. If you want to reset or update it, just remove the current one and LevelHearts will create a new one. In the configuration file, you can change default maximum health and limit, increase level interval, permissions, particle effects, and more! Just replace the downloaded config.yml with your current one and reload the server. Feel free to submit your own configurations! Please use our issue tracker to report issues and suggest features. Since v1.4.7 this plugin sends statistics information to bstats.org (and in versions prior since v1.2 to mstats.org). You can disable it in config.yml / enableMetrics = false. Also the plugin checks dev.bukkit.org if there is a new version available. LevelHearts will not download anything to your server and will just print a message with the download link. You can opt-out this in config.yml / updateChecking.enabled = false. (absorption hearts which regenerate after some seconds) ? Hello! There should not be any problems using the yellow additional hearts that are used by Absorptionhearts. They should work well just like Notch apples do! Hey. Thank you for your answer. Awesome ! I will give some feedback. I hope you will get around fixing this so it will work the current build of McCombatLevel. I think I ask this a year ago. LOL... Thanks! I'd like to be able to pick and choose which skills are calculated, and access to the calculation equation itself (i.e. I want to have the choice to add them all together, or to add them and divide by number of skills, etc). Are you sure this is related to this plugin? This plugin should not mess with what is displayed under the players' names, perhaps this is related to the healthbar plugin you were using? Yes, of course! Sorry for the delay! Heho! Danke, freut mich, wenn es euch gefällt! Aber klar, ich bin immer offen für neue Ideen :) Schick mir am besten eine PM. Sehr schönes Plugin - nutze es auf der 1.10.2 Version von Spigot und es existieren keinerlei Bugs. I don't know what took me so long, but I finally released v1.4.5 containing this feature! i'd like to have the ability to set the level that the plugin starts to add hearts. i dont want it to be from level 1 up. Hi! Did author read the tickets ?? I really like the idea of the plugin and would like to use it on my server but there is 1 issue. When I where to switch multiverse worlds rapidly the exp would glitch and one exp value would overwrite the exp value I had in the other world. I use multiinvs and it switches the exp values automatically but this plugin causes glitch when switching worlds rapidly causing exp overwrites in seperate worlds. Anyway to fix this? Thank You. I am using a Cauldron server. Perhaps becasue certain mods can increase your HP it is conflicting? I also have mccombat level and have the levelmode set to that.